Here are more handmade cards by Valerie Smith. To find out more about Valerie, just go to Handmade Christmas Cards by Valerie Smith where there's a brief introduction by Valerie about herself. 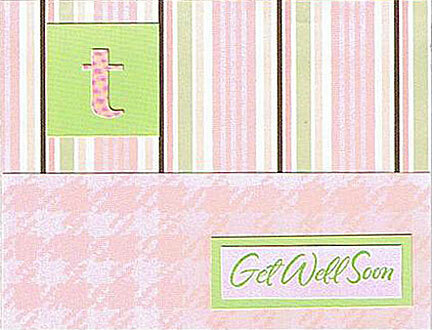 Here's a handmade Get Well Soon Card! 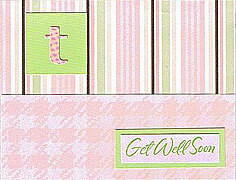 Sweet combination of colors that will surely bring much cheer to someone who's not feeling well. 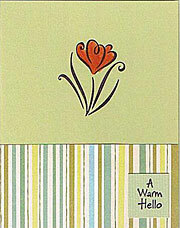 Here's a bright cheery card - another of Valerie's creation! 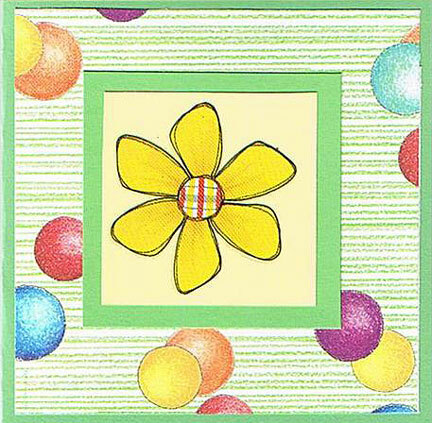 Big yellow flower against a background of colored balls make this a suitable card to send to just anyone whether young or old. Just looking at this scan makes me happy. I love this card! 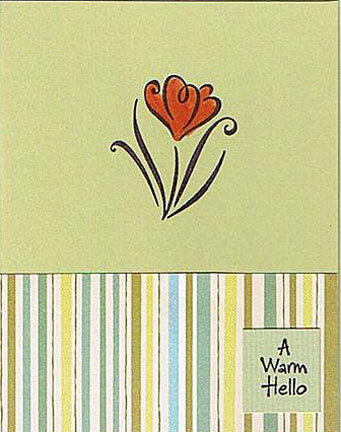 A Happy Birthday Card or a card to congratulate someone. 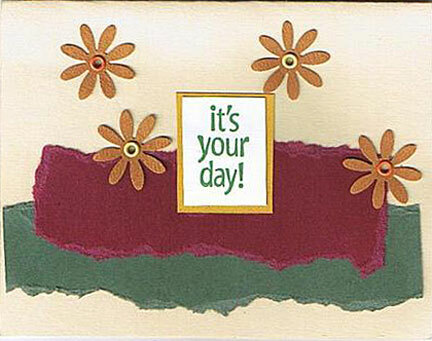 The rubber stamped message "It's Your Day" is so appropriate for both. A warm hello to a friend or family member. This is a card that is great to send to someone just to say "Hello" - someone you have not seem for a long time, or just someone who needs cheering up. Note: If you love this page of More Handmade Cards by Valerie Smith, I'm sure you will like to view her other handmade cards. Just place your curser on any of the links below and click. A new window will open.